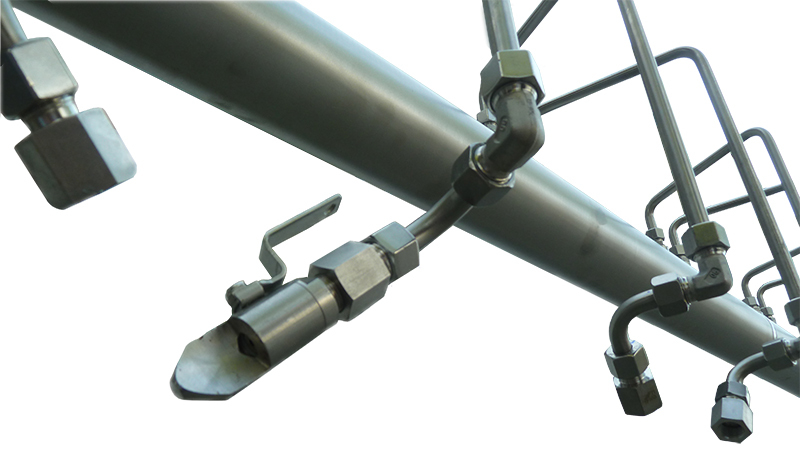 Can be used in freshwater, clear-water and backwater applications. Considerable freshwater savings and low water consumption. Immediate cleaning of the nozzles during operation while removing dirt at the same time. 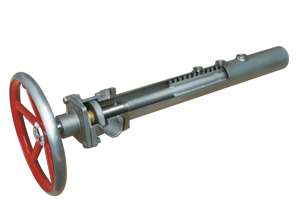 Easy operation; just turn the handwheel and the cleaning device moves both axially and radially so that the dirt is removed via the valve which has now opened. Easy nozzle removal. The nozzles are made of high molybdenum stainless steel 1.4439 and are available in a variety of sizes and types to suit all shower applications. 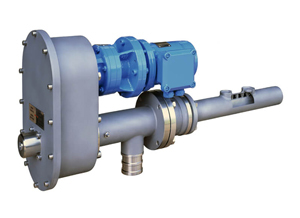 It is easy to alter the type of nozzle (fan-jet and needle-jet) as well as nozzle size. Nozzles are firmly attached to the shower. Easy adaptation to each shower application. The perfect brush for efficient spray-shower cleaning. 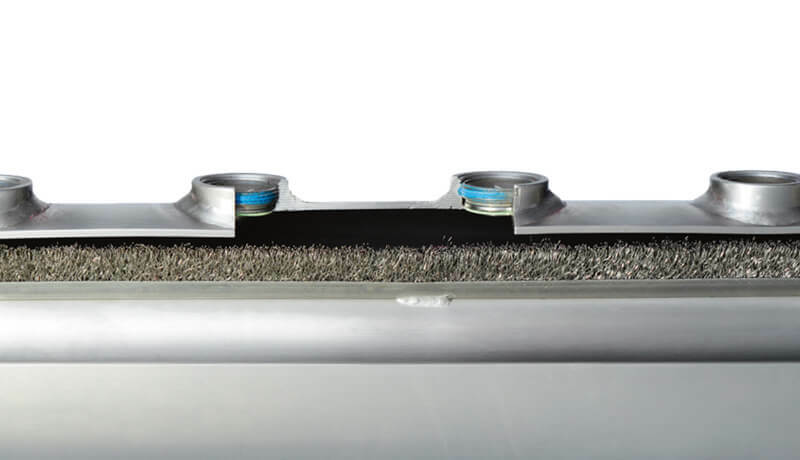 Cleaning devices are the simplest and most process-reliable solution, in order to achieve a good spray, even with water contaminated with fibers and suspended solids. The efficiency is largely determined by the choice of the brush. Whether stainless steel or syntetical bristles, whether welded, screwed or directly pulled in bristles - we will find the perfect solution for you. A cleaning device is not always mandatory or even possible. We also help you solve complex problems. 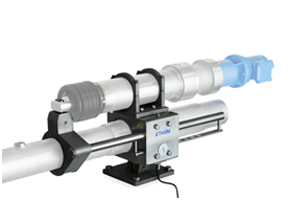 For the effective, uniform and streak-free cleaning of wires and felts with manual adjustment of the stroke speed. Recomeded shower size between 2" and 3" between 4" and 6"
The 10.020 EC is our robust and generously dimensioned drive unit for machines and positions where service is problematic. By the above-average reserves he reaches an otherwise unattainable duration and stability. Every generation can be converted to latest technology. The LEO is our all-time-available drive. With intelligent stock-keeping and a focus on service, we achieve a very short reaction time. We also offer maintenance contracts for our LEO. Our LEO thus offers calculable costs with maximum availability. 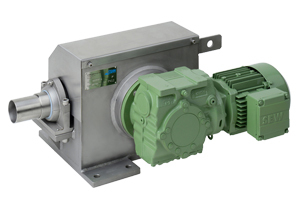 The idea behind the latest STAMM Cleantech product - SERVO - is the integration of drive control into the process control system of the paper machine. 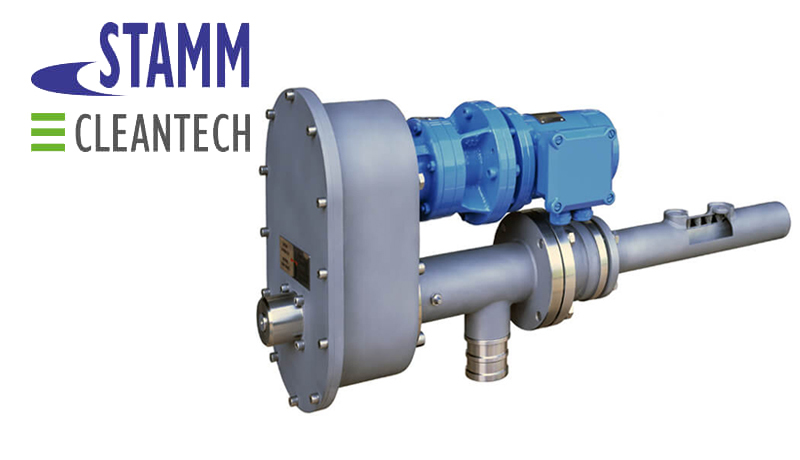 The linear electronic oscillator communicates with state-of-the-art Profibus technology and can be connected to the existing process control system based on defined interfaces. The system is delivered in a small control box and includes a 5 inch touch screen as well as the corresponding wiring and documentation. The SERVO system is designed, that up to 10 drives can be controlled individually via a control box. The Cleantech principles of jet-to-beam cleaning also applies to the SERVO. The always optimally adapted oscillating speed improves the cleaning effect, since the entire surface of the fabric is cleaned in the shortest possible time. 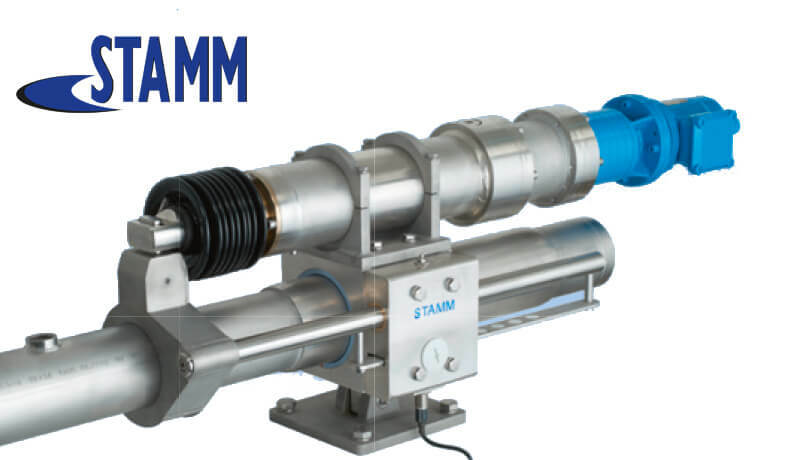 This STAMM Cleantech innovation has set a new standard in oscillation technology. 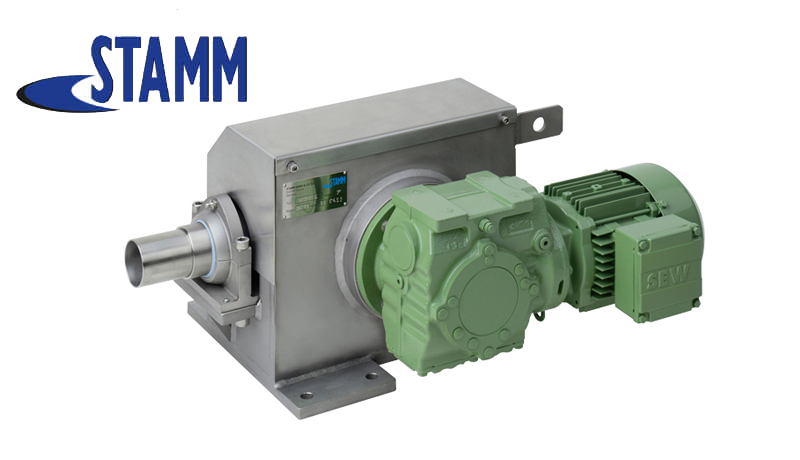 The rotary motion of a worm-gear motor is transferred into an oscillation movement via a crank with sliding block and sliding guide. 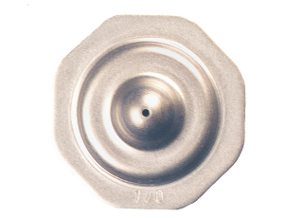 The STAMM nozzle plates are subjected to a regular quality control check of spraying angle and water consumption. To ensure jet formation, the water pressure should be at least 1.5 bar. 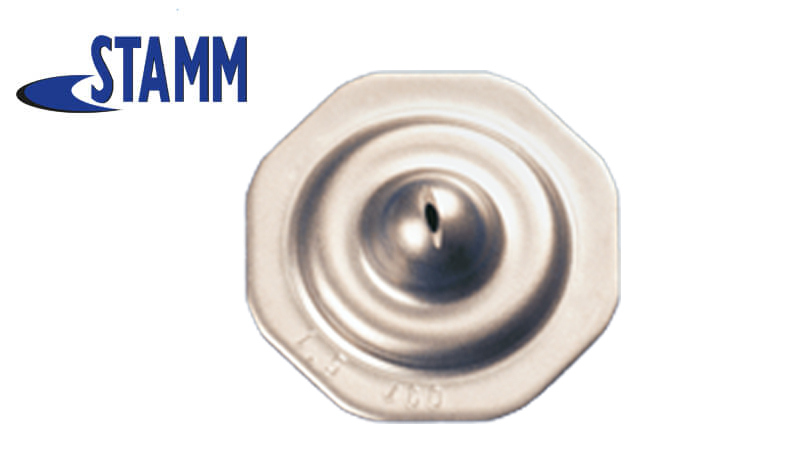 All STAMM nozzles are made of high molybdenum stainless steel 1.4439 (4% to 5% molybdenum content). 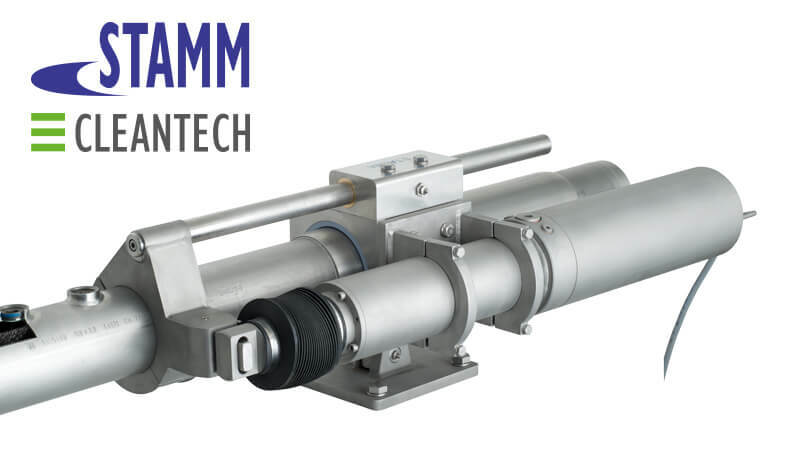 The times of complicated installation and removal of flat jet nozzle plates and associated separate thread rings is finally over with this intelligent nozzle system. 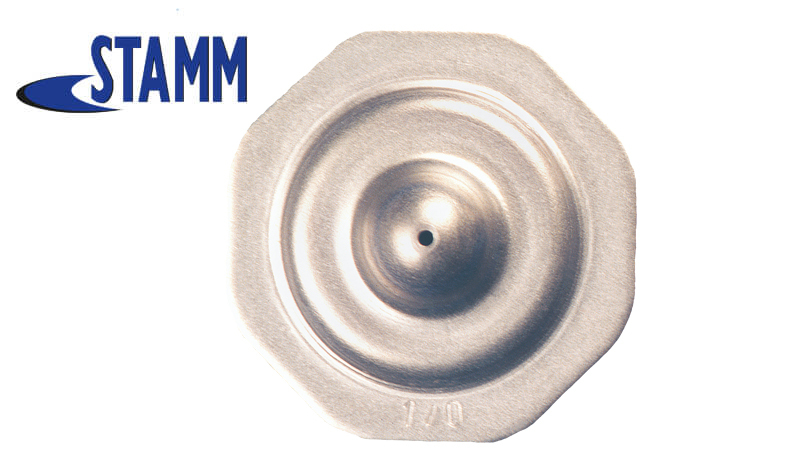 The STAMM nozzle plates are subjected to a regular quality control check of spray-quality and water consumption. To ensure jet formation, the water pressure should be at least 1.5 bar. 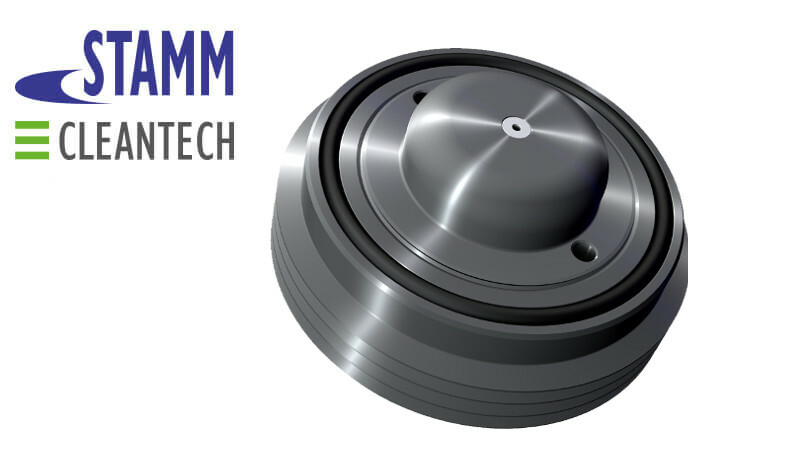 The STAMM mono nozzles offer easy assembly and disassembly even under difficult installation conditions with the proven loss protection through patch-coating. 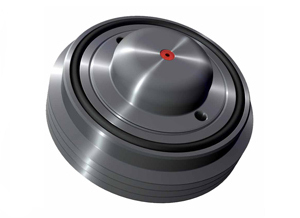 We provide a whole range of different jet sizes for all applications. The ruby ​​insert guarantees optimal spray quality over a long period of time. 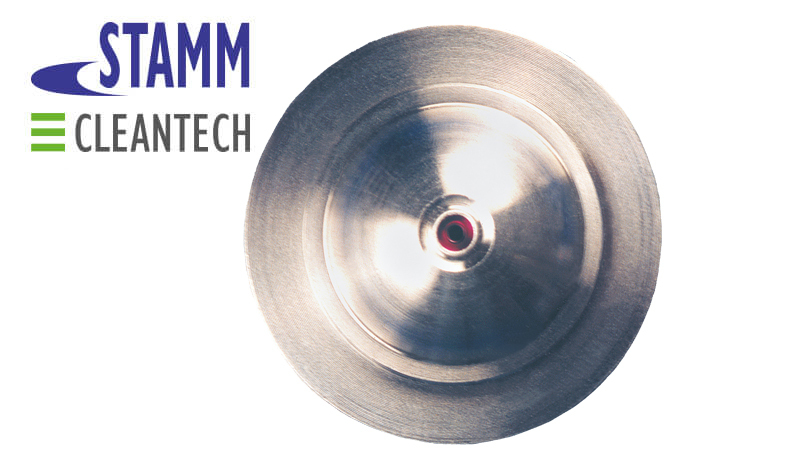 The STAMM Cleantech nozzle plates are subjected to a regular quality control check of spray-quality and water consumption. To ensure jet formation, the water pressure should be at least 1.5 bar. 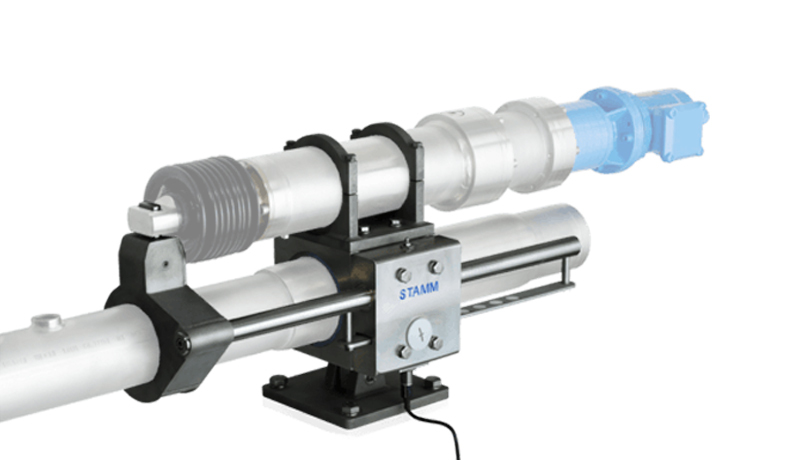 The STAMM Cleantech ICL-R nozzles are subjected to a regular quality control check of spray-quality and water consumption. 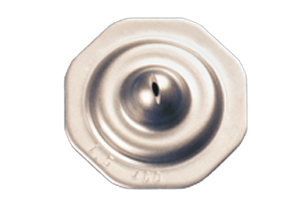 The ICL-R nozzle is a one-piece insoluble connected HD nozzle made of stainless steel with ruby ​​insert. Our customers can conveniently access the cost-effective in-house nozzle-service. 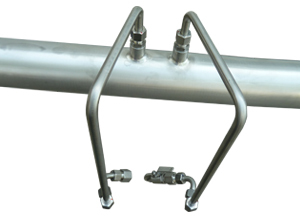 The nozzle-service for the ICL-R includes function checks, cleaning and, if necessary, replacement of the noozle. Using the refining process (TROVALIZATION), the surface of the ICS-R nozzle is mirror-smooth, so that contamination and calcification are hardly possible. 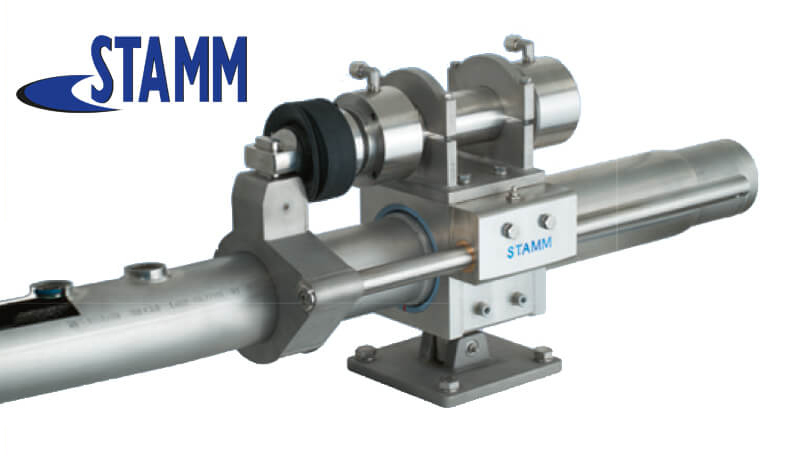 The STAMM Cleantech ICS-R nozzle convinces with time-saving handling (very fast installation / removal) and special corrosion resistance. 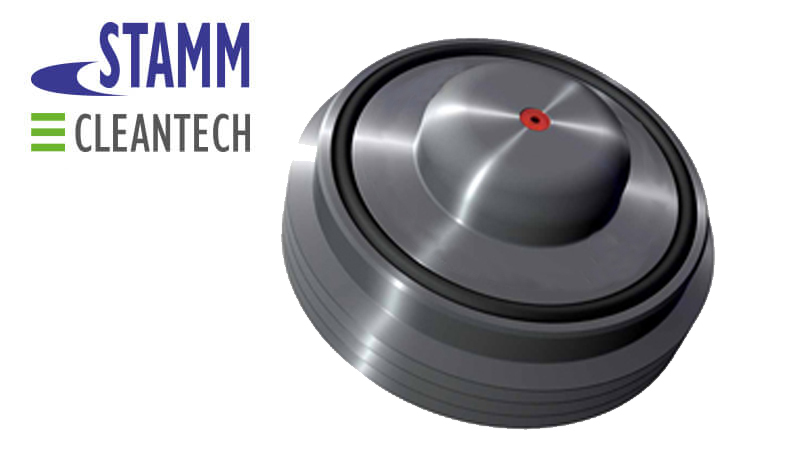 Another advantage of the STAMM Cleantech ICS-R nozzle is the replaceable ruby ​​insert. Our customers can conveniently access the cost-effective in-house nozzle-service. The nozzle-service for the ICS-R includes function checks, cleaning and, if necessary, replacement of the insert. 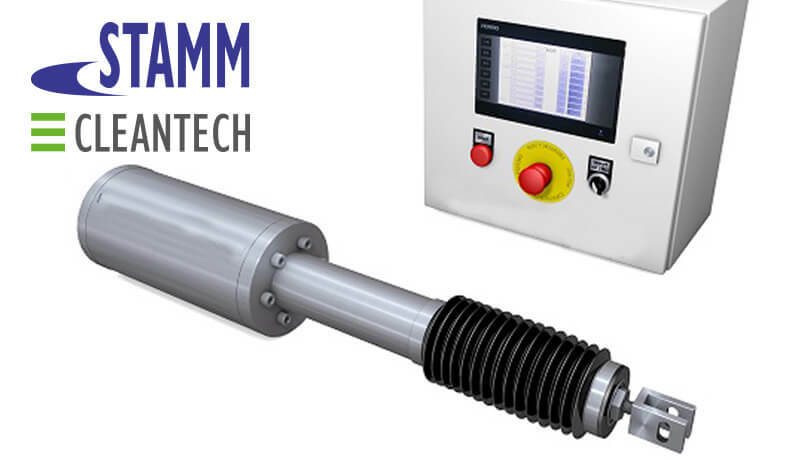 With these properties, the STAMM Cleantech ICS-R offers the optimum solution for a low-maintenance production process - in the interests of its customers. The high-performance ceramics guarantee optimum spray quality. An extremely high material hardness is achieved by the special networking of the ceramic globules. 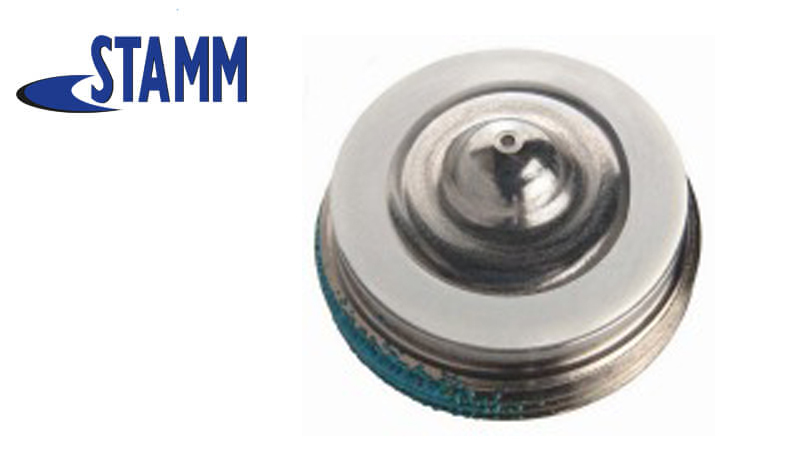 Using the refining process (TROVALIZATION), the surface of the ICS nozzle is mirror-smooth, so that contamination and calcification are hardly possible. 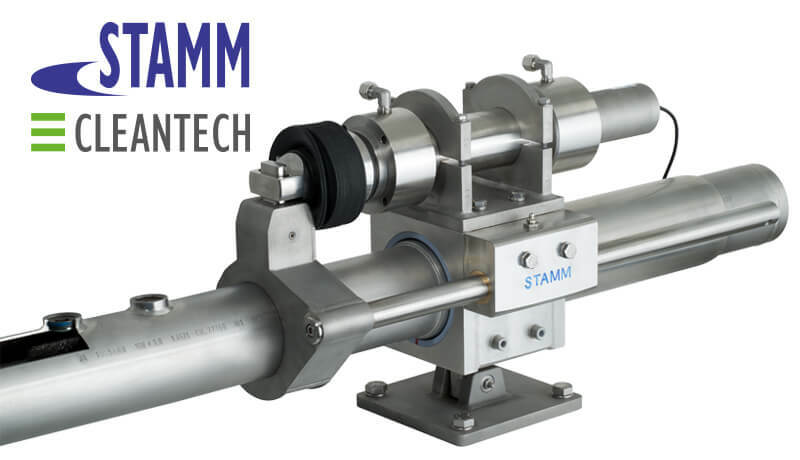 The STAMM Cleantech ICS nozzle convinces with time-saving handling (very fast installation / removal) and special corrosion resistance. 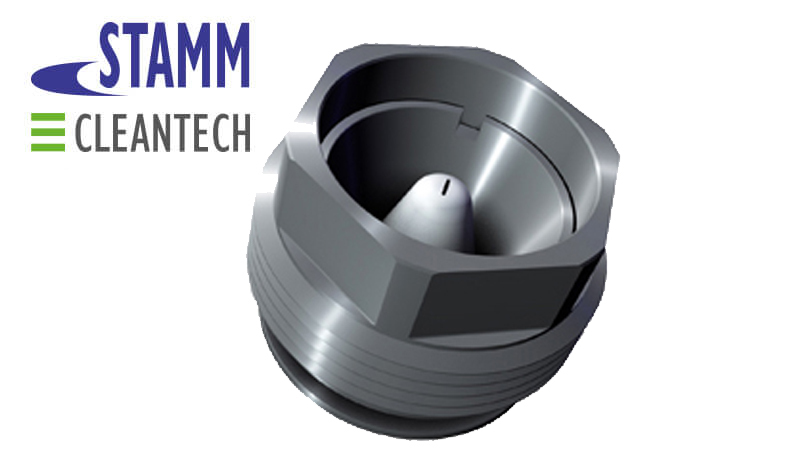 Another advantage of the STAMM Cleantech ICS nozzle is the replaceable ceramic insert. Our customers can conveniently access the cost-effective in-house nozzle-service. 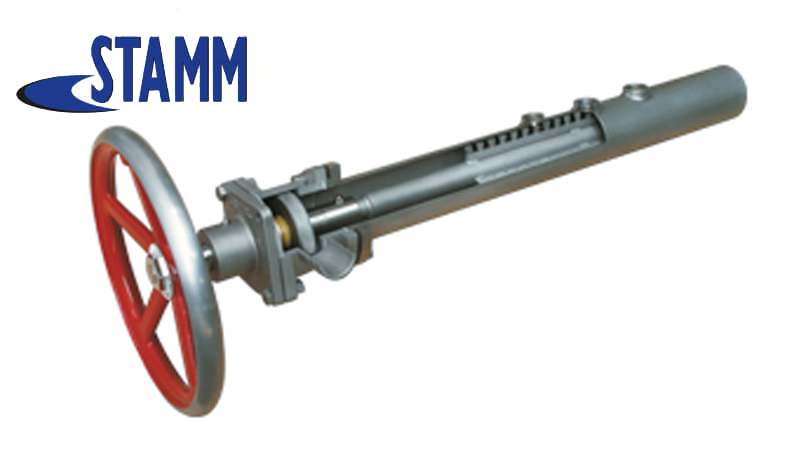 The nozzle-service for the ICS includes function checks, cleaning and, if necessary, replacement of the insert. 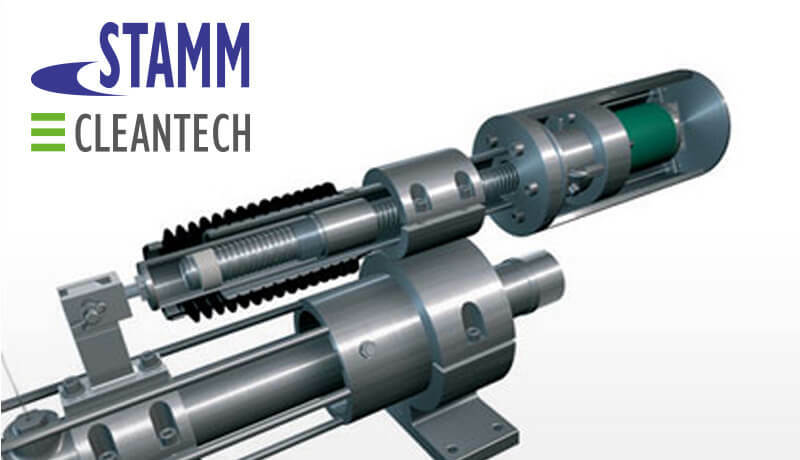 With these properties, the STAMM Cleantech ICS offers the optimum solution for a low-maintenance production process - in the interests of its customers.